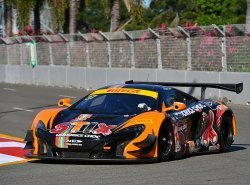 The McLaren 650S GT3 scored wins in both races at Townsville, continuing the run of strong results in the CAMS Australian GT Championship. Klark Quinn and Tony Walls, driving for customer teams Darrell Lea and Objective Racing, secured the pair of victories, and now see Quinn lead the championship. In Race 1 Quinn – who started P6 – went on to take the win, after a late charge through the field. At the start of the race the Darrell Lea driver clawed his way to P4, and emerged from the pit cycle P2 before closing the six-second gap to the leader and taking the lead with a quarter of an hour left to run. Further down the order, championship leader Nathan Morcom in the Tekno Autosports Direct Plasterboard Outlet McLaren finished up P4. Race 2 saw Tony Walls come through the pack after the set of stops in the two-hour contest to steal the win off Klark Quinn. Walls crossed the line P2 after a lengthy battle, but inherited the win after a post-race penalty pushed Quinn down to P7. Next up on the calendar is the final round of the season at Highlands Motorsports Park which takes place 11-12 November. 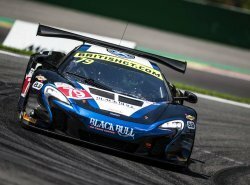 In the British GT Championship, customer team Black Bull Ecurie Ecosse enjoyed mixed fortunes at the Spa-Francorchamps round. Factory Driver Rob Bell helped steer the #79 650S GT3 to second in qualifying, while the 570S GT4 – still in its development season – scored a second consecutive pole position. 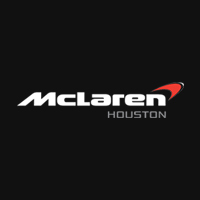 In the race, a first lap collision cost Bell and teammate McCaig the chance of a first win of the year, while the 570S GT4 set the fastest lap but was later forced to retire from the lead.